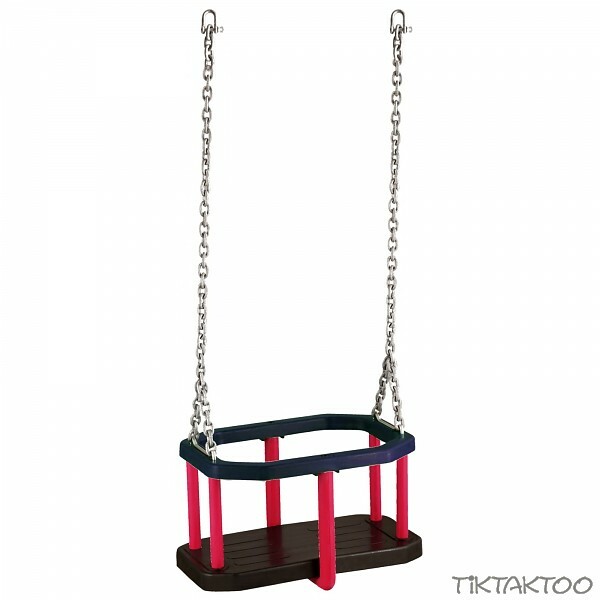 Rubber seat with stainless steel inserts, galvanised steel chains and shackles. Recommended for children up to 36 month. 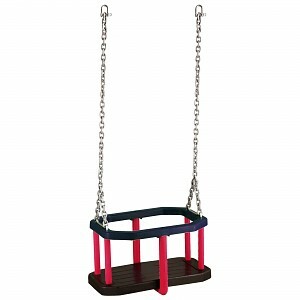 Ideal for a swing beams up to 4.25 m heigh. Chains can be shorten. Please note that the seat must not be mounted less than 40 cm above the ground.